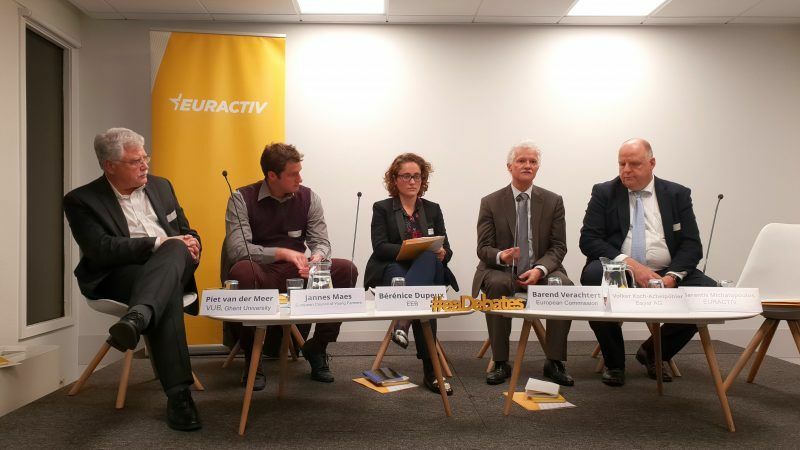 Verachtert, the head of unit at the DG Research and Innovation (DG RTD), told at the event it was also DG RTD’s role to explain what can be done with technologies such as the NPBTs and what the possible benefits and drawbacks are. “We are convinced that new technologies indeed can make a difference, for instance, they can offer opportunities to do things in a more sustainable way, to be much more environmentally friendly and have a positive impact on biodiversity,” Verachtert said. The topic of the NPBTs is now under discussion between the Commission and member states at the Plant Animal Food and Feed Standing Committee, following a European Court of Justice decision that organisms obtained by mutagenesis plant breeding technique are GMOs and should, in principle, fall under the GMO Directive. While environmentalists hailed the decision, saying that it prevents “new GMOs” from entering the EU through the back door, the scientific community stressed that this decision could result in a de facto ban of precision breeding techniques. In a position paper released on 24 October, scientists from more than 85 European plant and life sciences research centres and institutes warned about negative consequences for agriculture if gene editing were to comply with stricter EU rules on GMOs. The decision also shocked the industry and farmers, who described it as a severe blow to innovation in EU agriculture and warned about economic and environmental consequences. Asked if the EU executive was happy about the ECJ ruling on NPBTs, Verachtert said there was a real risk to put some pressure on scientists, as happened with the GMO discussion. Before chairing the Agri-Food Chain unit at the DG RTD, Verachtert served in the biotechnology unit of the DG Sante for twenty years and had also spent almost ten years in the biotech industry as a biologist. According to Verachtert, particularly when it comes to deciding on the importance of a new technology product, the EU needs more engagement with researchers within the Commission, member states and other entities in charge of policymaking and regulatory environment. For Bérénice Dupeux, a policy officer at the European Environmental Bureau (EEB), the debate around innovation is not whether or not we want technology, but how to use it and regulate its usage. “The goal is no longer to maximise productivity but rather to optimise the whole system of production,” EEB’s Dupeux said. The head of Bayer’s EU Liaison Office, Volker Koch-Achelpöhler, argued that the common goal was to do the best to bring together sustainability and productivity. In this respect, innovation plays a crucial role, acknowledging that both NPBTs and digitisation are a “very democratic technology”. Koch-Achelpöhler expressed his surprise when at one point in the debate, agroecology was put in contrast with agribusiness, as if business interest was seen as fundamentally bad. “I think even an agroecology farmer in Italy wants to make some money and make a living,” he said. Jannes Maes, president of the European Council of Young Farmers (CEJA), warned that the EU was lagging behind in innovation and that was partly because farmers are often forced to do trade-offs on financial, environmental and social aspects, which puts them in a difficult position.